2009 Radio Wiring Harness Colors - need help! 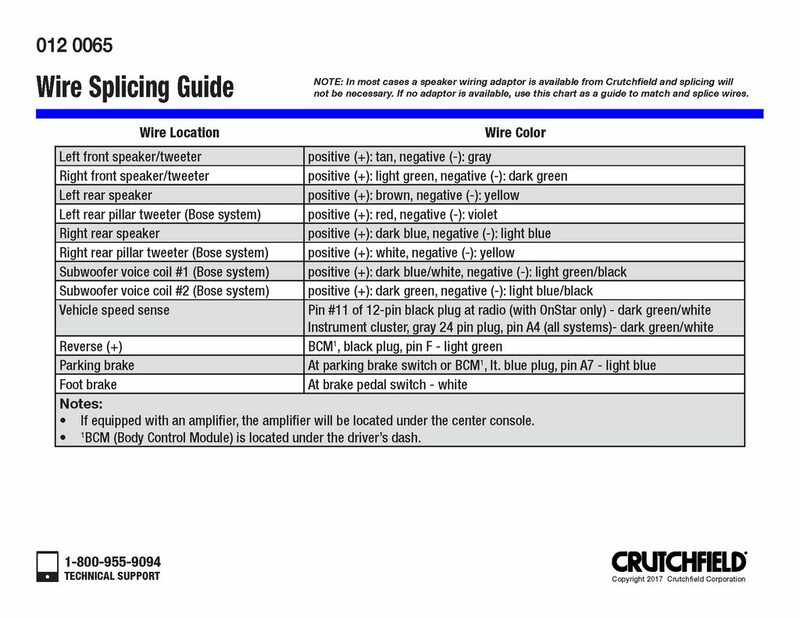 Topic: 2009 Radio Wiring Harness Colors - need help! I am trying to hook up an amp and subs to my 2009 Chevrolet Avalanche LTZ. I believe it has the bose system in it so there's the factory amp under the center console. I'm needing help identifying which wires are my rear speakers so i can tap into those to get RCA output to go to the amp. I looked around and saw most people say dark blue/light blue is one of the rear speakers, but i had two dark blue wires - when i cut into those to test it, i still had all rear sound. Any suggestions would be greatly appreciated. Thanks in advance! Can always depend on a Chevy! Re: 2009 Radio Wiring Harness Colors - need help!